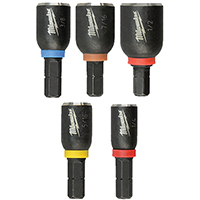 Professional quality driver made in USA. 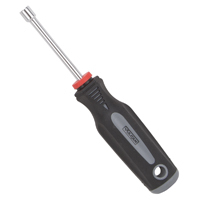 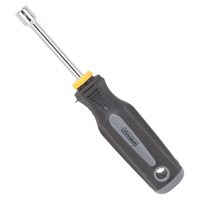 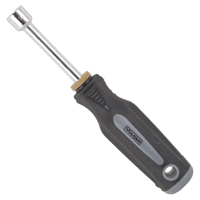 Heavy duty Nylon reinforced handle and chamfered solid steel shaft for long life and durability. 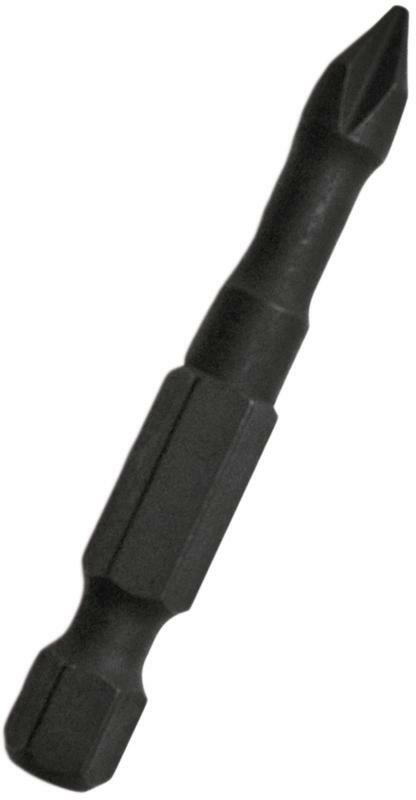 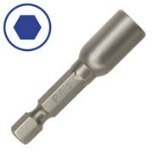 Patented <--PULL OUT--> bit cartridge provides time saving, space saving convenience. 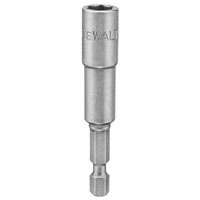 Shaft diameter is almost 50% narrower than standard quick change chucks, allowing the shaft to reach into narrow openings. 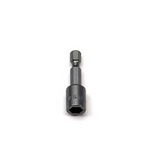 Locking shaft eliminates the hassle of bits falling out of the shaft when getting partially 'stuck' in the fastener as the driver is pulled back away from the fastener! 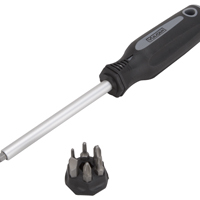 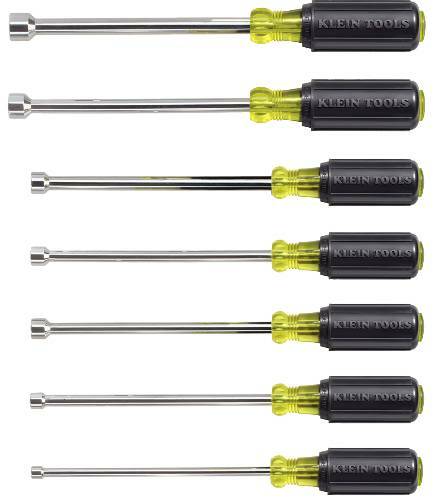 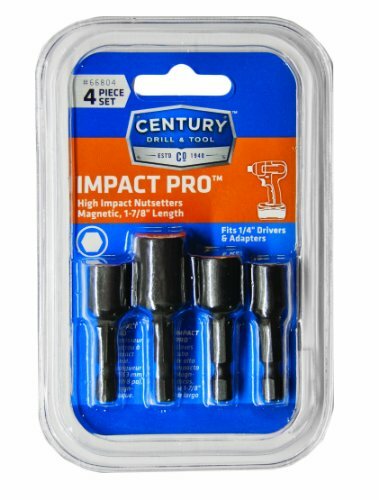 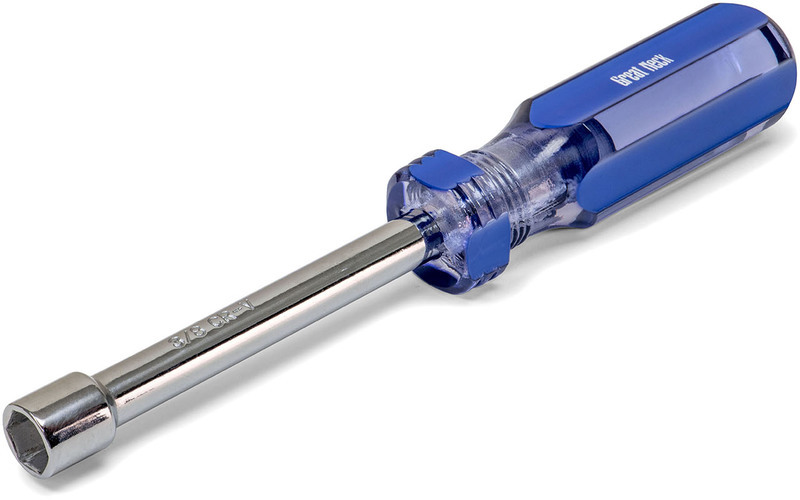 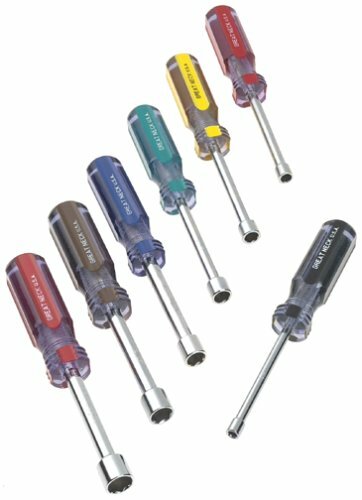 IMPACT READY MAGNETIC NUTDRIVERS For use in cordless impact drivers Rated up to 2000 in-lbs of torque Packed one per card DW2218IR 1/4X1-7/8 NUT DRIVER SIZE:1/4" x 1-7/8"
MAGNETIC LOBULAR DESIGN NUTSETTER 4x more powerful than common magnets Made of shock-resistant & heat treated tool steel Fits most power tools & quick-change adapters Positive retention of screw improves install rate 1/4" shank diameter Carded, 1-pc. 3548121C 1/4 IN. 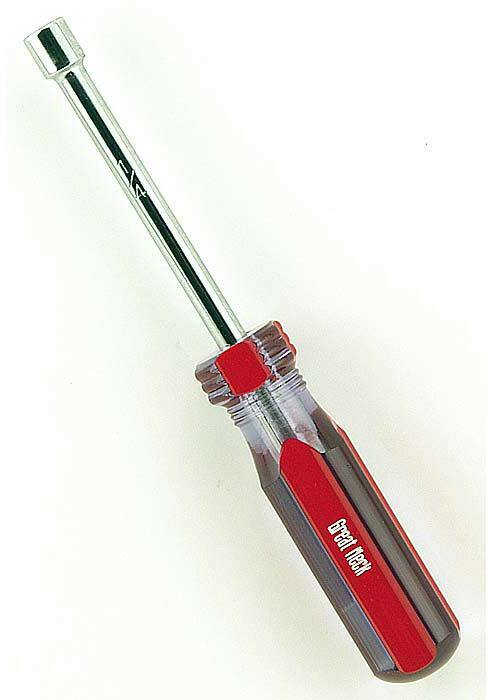 MAG NUTSETTER SIZE:1/4" LENGTH:2-9/16"
| Hollow shaft design with Rare Earth magnetic tip | Hollow shaft facilitates work on bolt applications | Cushion grip handle allows for greater torque and comfort | Handle end is color coded for easy identification | Internal flanges provide solid, twist-resistant shank anchor | Chrome-plated shaft helps prevent corrosion | Overall length: 9-3/4" | Hex size: 1/4" and 5/16" | Shank length: 6"
MAGNETIC NUTSETTER Use for power driving hex head screws Also bolts & nuts Single-piece construction For electric drills & power screwdrivers 1/4" shank 15889 5/16 IN. 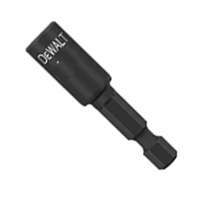 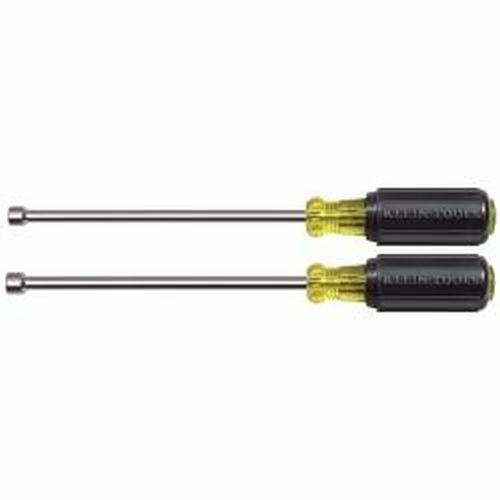 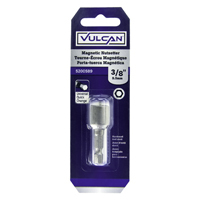 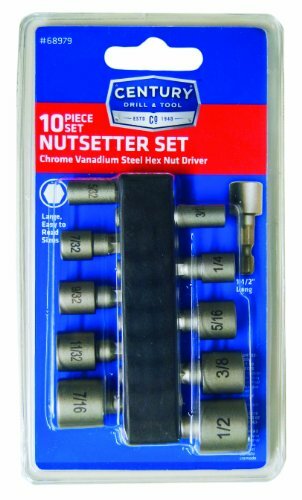 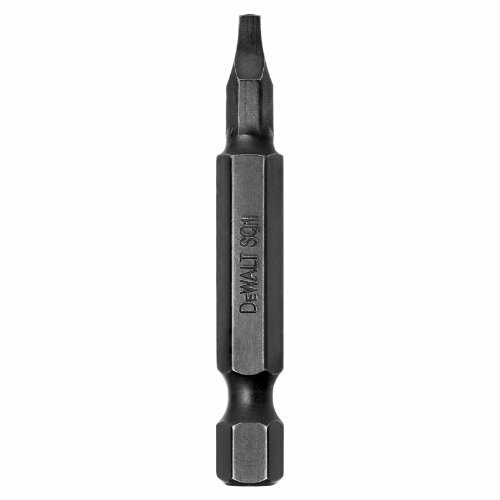 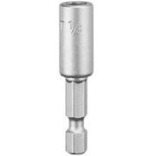 MAGNETIC NUTSETTER SIZE:5/16"
IMPACT READY MAGNETIC NUTDRIVERS For use in cordless impact drivers Rated up to 2000 in-lbs of torque Packed one per card DW2234IR 1/2X2-9/16 NUT DRIVER SIZE:1/2" x 2-9/16"
MAGNETIC NUTSETTER Use for power driving hex head screws Also bolts & nuts Single-piece construction For electric drills & power screwdrivers 1/4" shank 15888 1/4 IN. 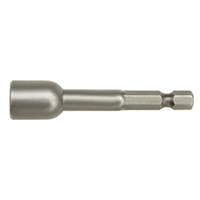 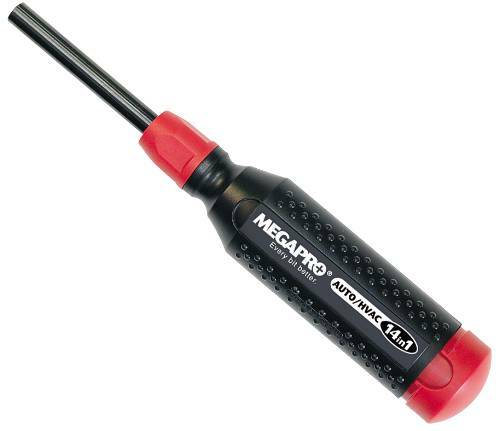 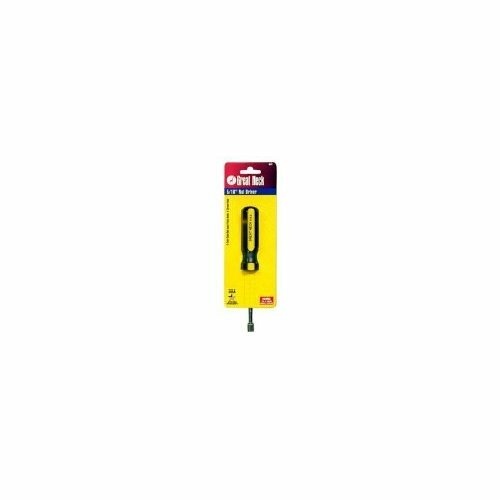 MAGNETIC NUTSETTER SIZE:1/4"